This is a continuation of a conversation I have been having by email with a person that calls himself Edward which is typical of those who bear false witness against the Church and are unable to support their attacks on the Church or like here the attacks on the blessed mother from Scripture. They act as if their accusations are proof enough and that accusations equate to truth even if they are impotent to prove their accusations. It is typical that they cannot articulate why they disagree or support their disagreement from Scripture. I do not post this on my blog to embarrass Edward but to show the level to which one can be deceived by false teachers and how hatred and bigotry can obscure one’s intellect and reason. I ask that all those who read this pray for Edward that he will come into the ark of the Church and reject the man-made sects that have deceived him and receive the fullness of truth contained only in Christ’s Church, the Catholic Church. (Cristoiglesia) By being obedient to the Church and its teaching I am being obedient to Christ. It is truly a blessing that comes from God’s grace to have been chosen and called to His service in His Church. You suppose that there is a contradiction between listening to God and listening to the Church but the Church is His bride. Jesus never gave any authority to written Scripture but instead to His Church who in turn wrote Scripture to be interpreted within His Church under the authority given by Him. St. Paul confirms this authority of the Church through apostolic succession when He instructed to hold fast what was taught by Word (oral) and letter (written). The Church does not have the authority to relinquish that which God has given regardless of the burden of protecting the Church. The Scriptures promise that this Church is the “bulwark and ground of the truth” and that promise will forever remain true. The Church was also given the authority to come to clearer understanding of the truth in the living Church but such understanding should not take away from the teaching of the apostles but illuminate it. The authority given to the Church is great Jesus saying that the Church has the authority to bind and loose and again the Church is powerless to abdicate this divine responsibility. Some may say the Scriptures are true because of the truth they reveal in prophetic testimony and I say that the Church is true because of its testimony as an enduring Church for 2000 years just as Christ promised. The only high court of appeal is our founder, high priest and Savior Jesus the Christ who has never failed His Church, this relationship no book can supplant for it is through Him that the Church derives its holiness and its veracity and its immortality. One cannot deny that the foundation of all Christianity through His Church is based on Christ’s words to St. Peter before the disciples. There is no doubt from the construction vernacular that Jesus was instructing them to build a Church with them as the foundation stones and Himself as the cornerstone. He built no other Church as no other was needed because the One, Holy, Apostolic, Catholic, Church derives its perfection from Him through His promises. He prayed that we all be one within this Church. He said this Church would endure until the Parousia. He said of this Church that the gates of hell would not prevail against it. He said that He would be with this Church until the end of time. The Scriptures confirms these promises saying that this Church is the “pillar and ground of the truth”. He did not plan for the Church to be without leadership after the apostles died but provided that they choose successors to replace them in the enduring Church. This is confirmed it the book of Acts. One can suggest that this Church is not the Church that Christ gave these promises and authority to but who else can support a claim that they are the true church represented by these promises if not the Catholic church. Some will suggest that the true church is the Gnostics or the Arians? Certainly remnants of those churches remain in modern incarnations of these heresies but can one claim the enduring characteristic promised by Christ? There is certainly no evidence that anyone can make a legitimate claim to Christ’s promises other than the Catholic Church. Some critics may claim that the reason that the Catholic Church has endured is because of political connections, but the truth is that it has endured because of the miracles of our Lord who persuaded a Pagan emperor to stop his persecution of the Church and not by some agreement of men. It is hard to persuade someone who is intent on your annihilation. Only God could convict the heart of the Pagan Emperor Constantine. I would agree that there have always been those believers known to God who will be saved and I agree but I do not agree that those people are outside of His Church nor do I believe that it is possible for salvation without His Church but that it is possible only through his Church, Although I acknowledge, as does the Church, that this union may be imperfect, as with our separated brethren with different degrees of the fullness of truth which is perfected in His Church. All believers are taught by God through His Church. While St. Paul spoke about the great apostasy, is it possible that he was speaking of the apostasy of the enduring Church that He created. Would not that apostate element be more described in the churches proceeding from the Reformation? Does the Bible not teach that we will know them by their fruits? It does and what are the fruits of the Reformation. Reducing the Word of God to a book and confusing the truth with tens of thousands of exponentially increasing schisms in the dilution of the truth. Did not Christ pray that we all be one in His Church? By forbidding the Body, Blood, Soul and Divinity of Christ from Protestant worship. Reducing salvation to a one time assent to faith and then teaching antinomianism. Rejecting the authority Christ established. These are just a few of the signs of a church in apostasy as represented by the Protestant churches. Could there be a better example of decay and perversion. We can all agree as Christians that only God knows who are His faithful but do not let us confuse the facts of His teaching that we are to be one in the Church that He created. There is the Church that is gathered around the Bishop as the early Church is described by St. Ignatius and then there is the Church known only to God made up of those whose heart is pure in their love and devotion to God. But regardless they all will be saved by that which is promised to endure which is His Church. We can only pray that he will be merciful to the apostate and that they find the truth before it is too late. (Edward) “There are no Born Again Christian churches that teach mary was sinless. Calvary Chapel has never taught mary was sinless. The Baptist Church has never taught mary was sinless. And the list goes on and on. (Cristoiglesia) None of these people that you mentioned was ever given any authority to teach anyone anything. They are heretics by their own actions. Why would you believe these men can usurp the authority given by Christ to His Church? All authority for teaching was given to Christ’s Church. Jesus said that His Church would never fall into apostasy when He said that the gates of hell will never prevail against the Church. The Bible says that the Church is the “pillar and foundation of the truth”. Jesus is not a liar and the Bible teaches truth but you give authority to men that Jesus never gave authority. Why do you not believe Jesus and the Bible over these men who reject what Christ founded. The Bible says of them that they cannot endure sound doctrine and are false teachers for this reason. If you or Anyone else truly followed God you would be one in His Church which is His will. Jesus is not the author of confusion and division which is rife in the Protestant sects. You will know them by their fruits and the fruits of Protestantism is more than 30,000 wounds in the Corpus Christi caused by these man-made sects seeking man-made doctrines instead of the teaching of God through His Church. (Edward) “Jesus told us in the Bible we cannot serve two masters. His example was we cannot serve God and money at the same time. We also cannot serve God and mary at the same time. We cannot worship God and mary at the same time. No Born Again Christian serves two masters, its only the catholics who try to worship God and mary at the same time. (Cristoiglesia) As I have told you many times Catholic Christians are forbidden by the teaching of the Church to worship anyone or anything but God. We honor the blessed mother of God just as the Bible teaches that His faithful will do. It is people like you who have an unreasonable and unbiblical hatred for the mother of God who serves your own prejudice by hating His mother. How do you justify hating Christ’s mother with supposed devotion to Christ? How will you defend yourself at judgment when Jesus asks why you did not honor His mother? Do you not realize that she is our mother as well as she was given by Jesus to the Church from the Cross as truly St. John represented the Church at Calvary. Is not one of the Ten Commandments to honor one’s mother and father? How do you honor her with your attacks on her? (Edward) God clearly states mary was sinless. Its the catholics who have ignored what God has said and instead has listen to the catholic church only. The Mary in the Bible is not the mary the catholics are praying to and worshiping. Their mary is a false idol made up only in the last 200 years by the catholic church. Many a pope has followed and served mary, John Paul II being one of the examples. (Cristoiglesia) As I have said and which you have been unable to refute is that we do not worship the blessed mother of God. We do ask her to pray for us because being the righteous woman she is then her prayers for us are of great benefit. She has achieved what we hope to achieve. There is no idolatry in the Catholic Church. Such practices are strictly forbidden. I have asked you to show me in the Catechism where the Church teaches what you say but you cannot but prefer, to your own condemnation, to bear false witness against the Church. (Cristoiglesia) Show me in the Catechism of the Catholic Church where the Church teaches idolatry. You cannot and continue to bear false witness against Christ’s Church. May our Lord have mercy on you. (Cristoiglesia) Actually you are entirely wrong. All of the prayers are to God We are simply asking the blessed mother to pray for us and be our prayer partner. All of our prayers go to Jesus. 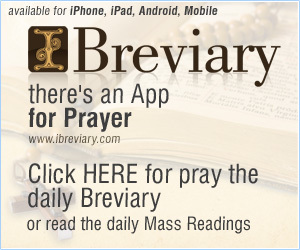 Personally I rarely pray the Rosary but pray the Breviary instead. You do understand that when we “pray” to the blessed mother of God we are using the definition where “pray” = “asks”. We are asking her to join us in prayer. It is no different than someone asking you to pray for them. If they did would you accuse them of idolatry for asking you to be their prayer partner? Are you then an “idol”? By your logic you are an idol if anyone ever asked you to pray for them. 7Now they have known that all things whatsoever thou hast given me are of thee. 9I pray for them: I pray not for the world, but for them which thou hast given me; for they are thine. (Cristoiglesia) You have been totally unable to support anything you say from Scripture. (Edward) “The only person here who has hatred is you. Your hatred for the Born Again Christian is great. I have no hate for mary nor do i have hate for the True Church. (Cristoiglesia) Why would I hate a “born again” Christian as I am one as is every Catholic Christian. We are “born again” in the biblical sense as Jesus taught Nicodemus. In our conversations you have done nothing but attack the mother of God for no reason and with absolute nonsense that is completely unsupported in Scriptures. I have practically begged you to support your claims from Scripture and you have refused in every case. Of course I already knew you could not because what you claimed was simply bearing false witness and not based on any biblical teaching which indeed teaches the opposite of what you claim. (Cristoiglesia) The Bible teaches that it is to be understood in the community of Christ’s Church and not used as a tool of division, confusion and a tool to attack Christ’s own Church and His mother. Jesus gave all authority to teach to His Church but you follow the doctrines of men instead which I am afraid you will do to your destruction. I know how those false teachers you mentioned teach and it is false teaching and man-made doctrines. (Cristoiglesia) Do you not realize that every time you accuse the Church of teaching falsely that you call Christ and liar and the Bible a false teacher. But, you persist even though all evidence is to the contrary of what you claim. (Cristoiglesia) You are correct I will never follow the doctrines of men in man-made sects rather than Christ’s Church. Claiming I worship the blessed mother is bearing false witness against me. (Cristoiglesia)It is you that is in denial in your man-made sect. If you can support any of your claims from Scripture let me know. God bless!